Essentially everywhere you go is a commercial real estate spot. Coffee shops, parks, business offices, bars – all of these spaces share the fact that they’re collaborative. The purpose of these spaces, though, differs depending on the type of space it is. Coffee shops are no longer just for purchasing a Venti-sized cup of coffee. More often than not you will see the majority of patrons typing away on their laptops, either in silence or small groups. Spaces like these are becoming the future of the traditional office. Commercial property for lease Westchester NY services has many real estate options the Tri-State area. The trend of co-sharing is a revolution for commercial real estate. Traditional office space is set up in uniform – single cubicles with very little access for socialization. Although fraternization in the workplace has been frowned upon in the past, studies are showing the many benefits that open workspaces have. Until recently, most companies designed their workspaces for individuals instead of teams. 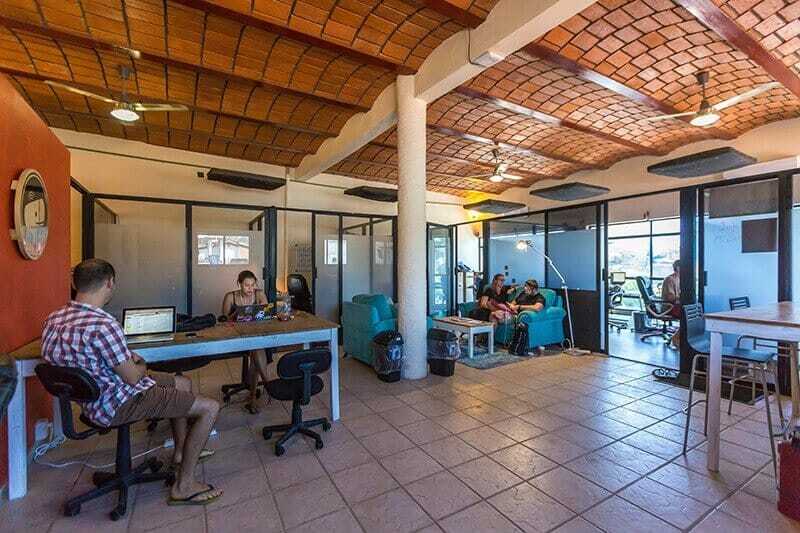 Co-working spaces provide a sense of community that can optimize work efficiency and ideas in those who use the space. Collaboration, expanding professional networks and knowledge-sharing are major benefits to collaborative spaces. How do co-sharing spaces affect commercial real estate developers and brokers? For starters, developers who want to jump on board with this trend should consider shared office spaces when dealing with future construction projects. For instance, distributing more square footage to flexible spaces is a smart idea. This means taking into account how to make your appeal distinctive in the growing market. It’s important for commercial real estate professionals to be in the loop of their clients’ business process to take advantage of the co-working property sector. Landlords should know that co-sharing can bring properties back to life that is not in competition with surrounding buildings with minimal investment. Furthermore, entering into the collaborative workspace market can lead to an increase in deals in the future. Eventually, small businesses will outgrow their shared spaces. Once this happens, they can move upstairs to a dedicated office space of their own. With more companies adhering to the collaborative workspace concept, we see the numbers quickly increasing. For example, a recent survey of over 200 commercial real estate organizations found that 40% of these organizations are considering co-working spaces. Co-sharing will continue to trump the concept of the common office. Call the Rakow Group with commercial property for lease Westchester NY services today to get started at (914) 422-0100. Our expert team will guide you in with leasing, buying or selling commercial real estate.